Looking for some of the best in northern Michigan cross-country skiing trails? Look no further than Crystal Mountain Resort & Spa. From gentle treks through the trees to the rolling terrain of our black diamond cross-country skiing trails, Crystal Mountain’s 40+km cross-country skiing trail network provides terrain for all ability levels, from novice to expert. We even have 4K lighted for night skiing. Meticulously-groomed for both skating and traditional cross-country skiing, these picturesque northern Michigan cross-country skiing trails were rated #1 in Michigan by Michigan Living magazine readers. 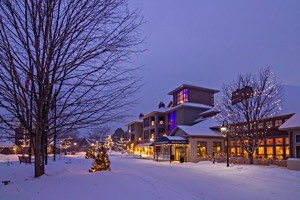 Crystal Mountain Resort & Spa… your northern Michigan cross-country skiing vacation starts here.